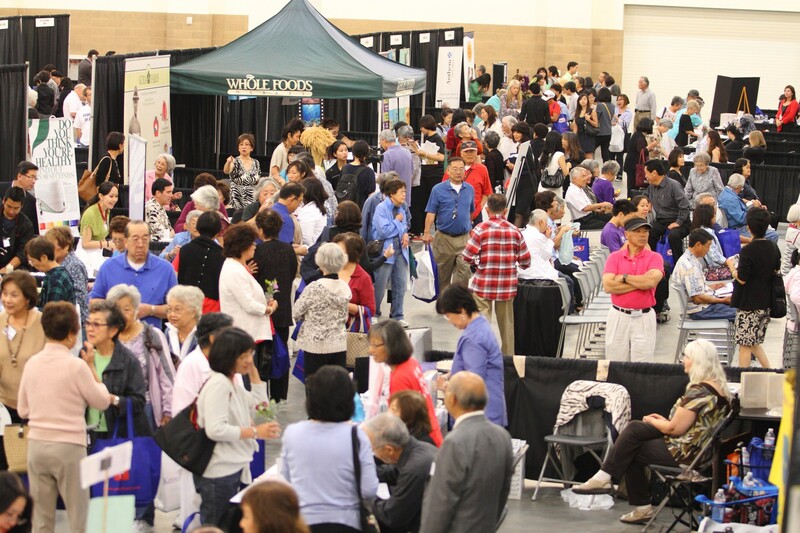 Nearly 3,000 community members took charge of their own health by attending Keiro’s Genki Living Expo in 2011. The following article is the first in a three-part series on the changing landscape of health care and its impact on our community. When President Obama signed the Patient Protection and Affordable Care Act (ACA) into law on March 23, 2010, it set into motion a complete redesign of the current health care system. Health care reform will affect everyone and change the way health care services are delivered to our community. “We have a health care system that costs significantly more than health care in other parts of the world, and the statistics in terms of outcome do not support that additional cost by having better outcomes than other countries,” explains Jeff Folick, a retired chairman and CEO of a Medicare health plan who also serves on Keiro Senior HealthCare’s board of directors. Health care costs are rising at a rate that is unsustainable under our current service and payment model. The Affordable Care Act, or ACA, seeks to reduce the per capita costs of health care and improve the overall health of the population by making preventive screenings (such as diabetes, blood pressure, cholesterol, and cancer screenings) available with little or no co-payments. The law also aims to reduce the number of uninsured Americans by making health care coverage more affordable and requiring most U.S. residents to purchase health insurance or pay a penalty. (Cost-sharing subsidies and tax credits may be available to help reduce the costs to individuals and families.) It also strives to reduce costs and enhance the care experience by streamlining the delivery of health care through coordination of services among hospitals, physicians, nursing homes, and community-based health care providers. Health care reform will affect different people in different ways. Already, young adults may obtain health care coverage through their parents’ insurance plans, up until age 26. Insurers can no longer set lifetime caps on health benefits. Children with pre-existing conditions cannot be denied health benefits. The uninsured are able to purchase insurance through health exchanges such as Covered California, which began enrollment for Californians on Oct. 1, 2013. Dual-eligible beneficiaries (those individuals who quality for both Medicare and Medicaid/Medi-Cal) will be enrolled into managed care plans as early as next April. And health care providers like hospitals and Keiro Senior HealthCare need to contract with health plans and develop relationships with other service providers in order to provide more coordinated care. As a result of care coordination, the experience and delivery of health care will change. Care managers will oversee a person’s care and coordinate health services from different providers. Similar to a health maintenance organization (HMO), health plans will rely on a narrow network of providers for referrals, which may limit which doctors and service providers an individual will be able to see. Already, there is a movement away from using costly hospitals and nursing homes and a growing effort to care for people at home in their own communities. While health care reform is concerned about reducing costs to the federal government, it is also concerned about improving the overall health of the community. Through conferences and how-to videos for caregivers; online fact sheets at www.keiro.org and the Genki Woman blog at www.genkiwoman.org on healthy aging; wellness-focused walks and events; lifelong learning courses on memory, fall prevention, diabetes, and healthier living; and most recently, interactive sessions on Medicare and health care reform, Keiro has been supporting our community so that everyone can age with confidence, no matter where they live. “Keiro provides peace of mind and resources to twice as many people through our healthy aging programming in the community than we do in our facilities,” says Shawn Miyake, president and CEO of Keiro Senior HealthCare. The changes accompanying health care reform are complex, but Keiro has free resources to help our community navigate through the evolving health care system. To help our community understand the changes and access the benefits available to us, Keiro has launched a Health Literacy Project (HeLP). With presentations at community centers and churches/temples, a dedicated health care reform section on Keiro’s website (www.keiro.org/health-care-reform-2013), and MedCHAT, a hands-on learning experience about Medicare, Keiro is coming alongside the community to help individuals maintain their best resource – an informed and vital self. For more information, visit www.keiro.org. 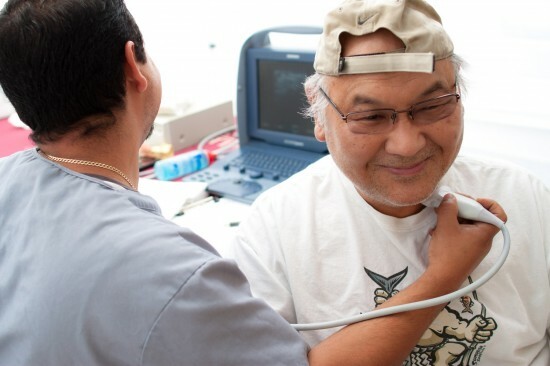 Preventive screenings, like the ones Keiro Senior HealthCare has offered for free to attendees at recent wellness-focused events like the Genki Walk held in November 2012, will now be covered under the Affordable Care Act. For over 50 years, Keiro Senior HealthCare has been committed to its mission of enhancing the quality of senior life in our community. The founders established Keiro to meet the specific needs of the Issei pioneers, and since that time Keiro has been developing and offering new programs and services in response to the changing needs in the community. For over a decade, this has included a variety of community-based education programs like our well-known caregiver’s conferences and the establishment of The Institute for Healthy Aging at Keiro to support people to age in place at home, while preventing and managing chronic health conditions. As the community continues to evolve and faces new challenges like health care reform, Keiro will always be there to help our community make sense of the changes and live with vitality. Dianne Kujubu Belli serves as chief administrative officer of Keiro Senior HealthCare and executive director of The Institute for Healthy Aging at Keiro. Before she began working with Keiro in 2001, she was vice president at Henry Mayo Newhall Memorial Hospital. She has also provided consultation to acute, long term, psychiatric, rehabilitation and prison hospitals. With a Masters in Public Health from UCLA, she is a fellow in the American College of Health Care Executives, and a past president of the California Association of Quality Assurance Professionals. She serves on the boards of directors of several Japanese American community organizations.